Play School is a wonderful Australian television program for pre-school children. It’s one of the best children's TV shows ever made, has been going strong for over forty years now and is remembered fondly by most Australians as a part of their childhood. It wasn't around when I was a small child but I remember my younger sister watching it and my own children, who are now all young adults, watched and loved it. So why am I writing about a television program called Play School on a website about reading? 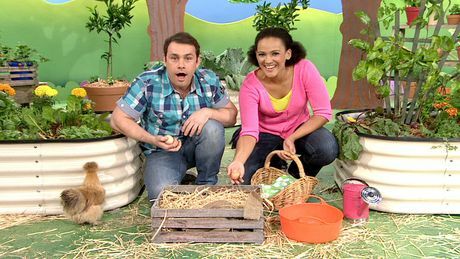 As a teacher and as a mum, I think Play School contains a lot of tips about how we can weave the stories we read to our pre-schoolers in with activities to maximise the fun and learning. In other words, we can choose stories thoughtfully and add craft activities, special outings, science-type experiences (like cooking!) and physical activities which relate to the stories to help children learn. As a primary school teacher, this is what I and my colleagues do every day and, if you're a parent, grandparent or carer, you can do it too. To understand how this works, let's think about what learning actually is, what our brains are doing when we learn and how they do it. Learning is taking in new information and adding it to what you already know to deepen and extend your knowledge and understanding about a particular subject. And this is why - and how - Play School does what it does so beautifully and why I love it so much. 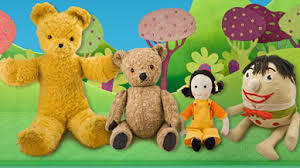 Each Play School episode is carefully put together by early childhood specialists to build children's knowledge about the world in which they live. The format of each episode is consistent and centres around the development of a theme. 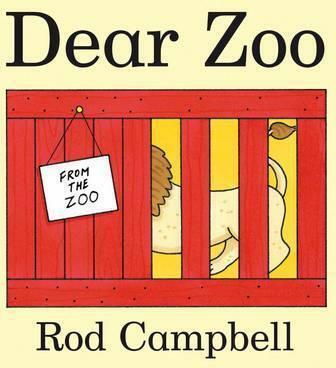 A story is read by one of the presenters and activities and songs are carefully chosen to fit with the theme and to encourage children to wonder, to think, to feel and to imagine. This way of structuring each episode helps young children to make connections between the various elements of each episode. This is important because making those connections is how neural pathways are consolidated and strengthened in their developing brains. In other words, making those connections is how children learn. An episode called Play School Meets the Orchestra is a brilliant example of the way the program combines stories, music and visits to places children might not otherwise be able to experience to build their knowledge of the world around them. In Play School Meets the Orchestra, the presenters (Benita, George and Trisha) have lots of fun with the Sydney Symphony Orchestra singing songs and making music. The orchestra even plays the Bananas in Pyjamas theme which is absolutely brilliant! The story Trisha reads is about an orchestra conductor called Orlando. It's a lovely story with gorgeous illustrations and it builds on what the children have learned so far about the orchestra, the musicians and the instruments. Here's are two YouTube clips which show different parts of the episode. They're pretty old now and the quality's not great but I still think they're worth watching. You can check out some episodes of Play School on line here. There's also information about each weekly theme here. You can take a leaf out of Play School's book when it comes to building and consolidating background knowledge and helping your child make connections between what they know and new information and experiences. The key is to pick up the same theme in a few different activities you do with your children.